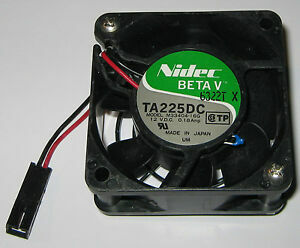 Nidec TA225DC R33965-16 Beta V Fan 60x60x15mm 12VDC 0.16A! 2 Wire! Qty. 1! Another Good Transaction. Quick Delivery. Thank You!